French Polynesia, an Overseas Territory of France, is made up of several small groups of islands in a wide area of the eastern South Pacific. French Polynesia Travel and Tourist Information with links to official travel and tourism websites and state resources for visitors to Tahiti. About French Polynesia, Bora Bora, Clipperton Island, Tahiti, Tahiti Travel Guides. The five archipelagos that make up French Polynesia. The Society Islands (Windward and Leeward Islands). The most popular islands in French Polynesian are Bora Bora, Tahiti, Moorea, Huahine, Rangiroa, Taha'a, Raiatea, Tikehau, Fakarav, and Maupiti. Tahiti is the main French Polynesian island. The capital of the territory is Papeete. Attractions include Paofai Church, Matavai, a trip across the Sea of Moons to the sister island of Moorea, Papenoo Beach and Tefa Aurumai, and the Gauguin Museum. In June 1891, at the age of 43, Paul Gauguin went to Papeete in search of the roots of 'primitive' art. The Museum Gauguin tells the painter's tormented life story and shows the present locations of his works throughout the world. Intercontinental Resort Tahiti: Point Tahiti. Located six miles from Papeete the InterContinental Resort Tahiti has a private sand beach and lagoon, outdoor swimming pool, Te Tiare (three-level restaurant with tapa decor and Tahitian dance shows three times a week), Le Lotus (restaurant by the lagoon), Tiki Bar, and Bar Le Lotus. Located 3km from Papeete, the Hotel is situated in spacious gardens along the lovely lagoon facing the Island of Moorea. For the sports lover, masks, snorkels, flippers, and canoes are free of charge. Other sports such as tennis, horse riding, and sailing, are within easy walking distance of the hotel. Bora Bora is located about 230 kilometres north-west of Papeete. The two towering peaks of sheer black rock that dominate the centre of the island contrast exquisitely with the assortment of blue waters that meet your eyes. Vaitape is on the west of the island, opposite the main channel into the lagoon. Bora Bora, Manihi, Moorea, Tahiti. Clipperton Island, an uninhabited atoll off the south coast of Mexico, is also part of the French Polynesian territory. 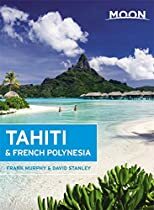 Tahiti and French Polynesia - Tahiti Maps.